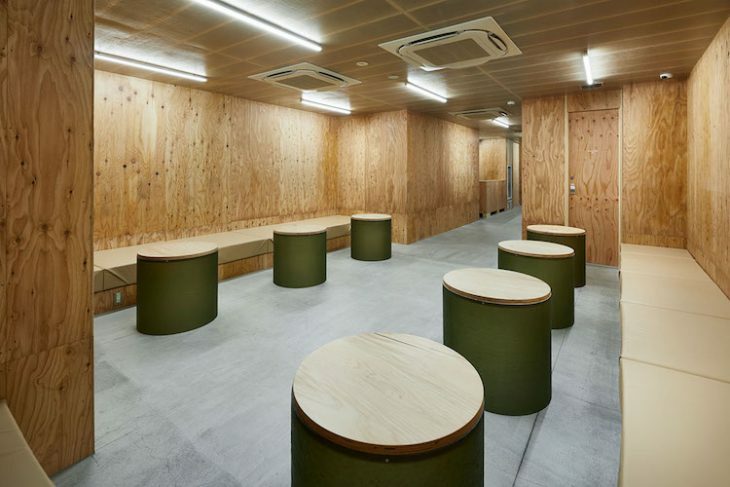 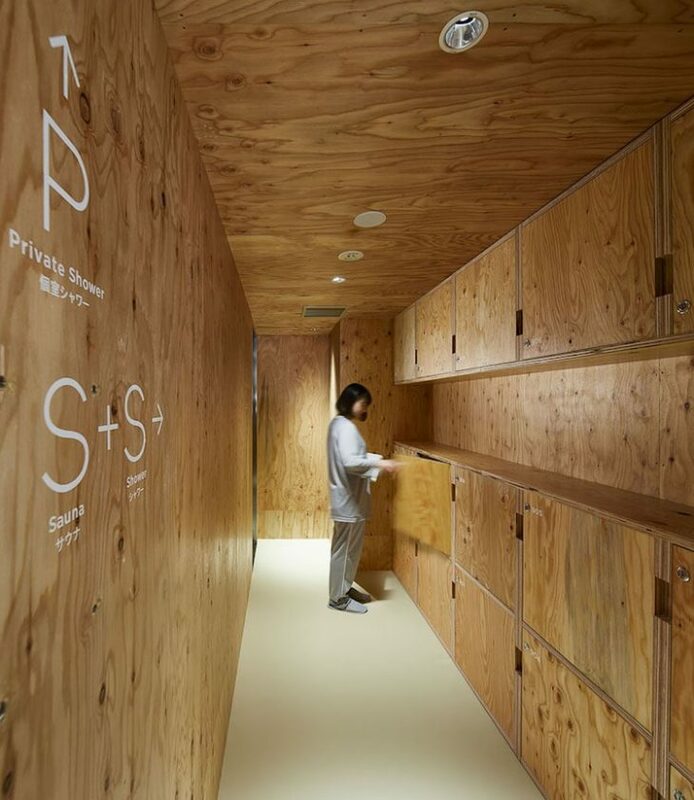 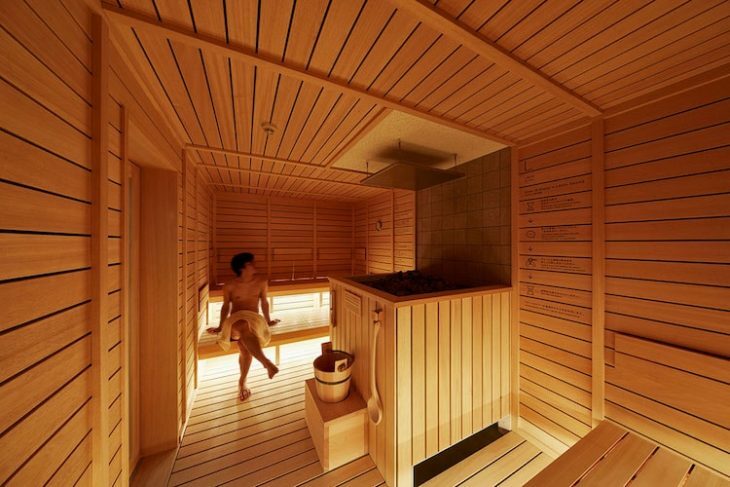 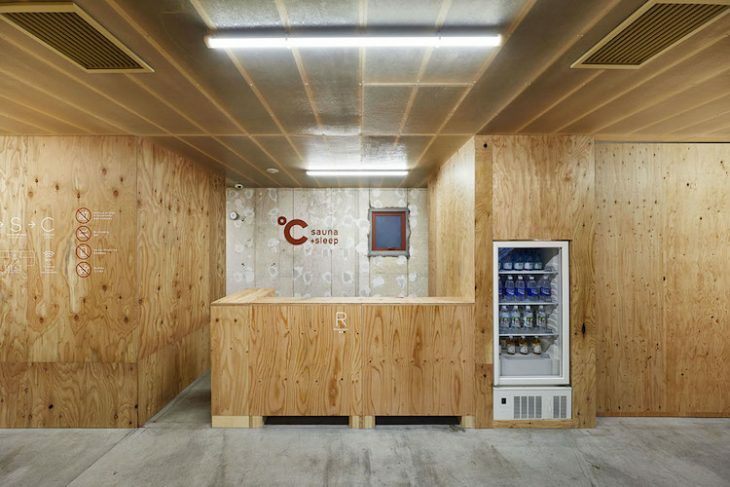 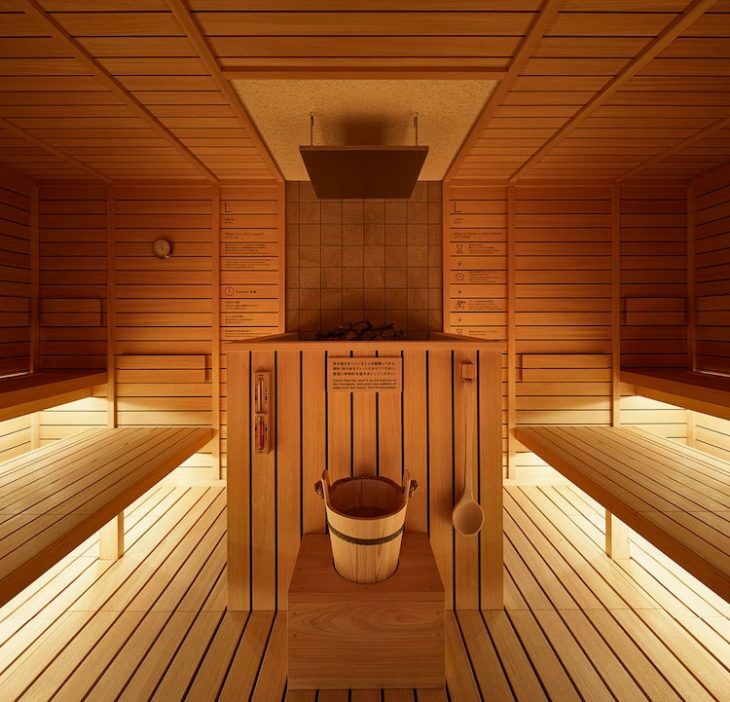 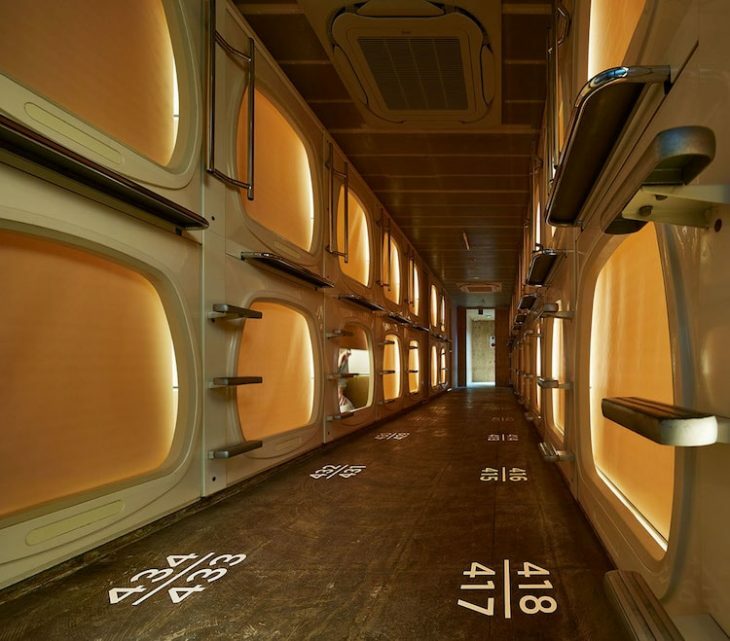 Schemata Architects recently renovated the hotel interior of a capsule hotel in Tokyo. 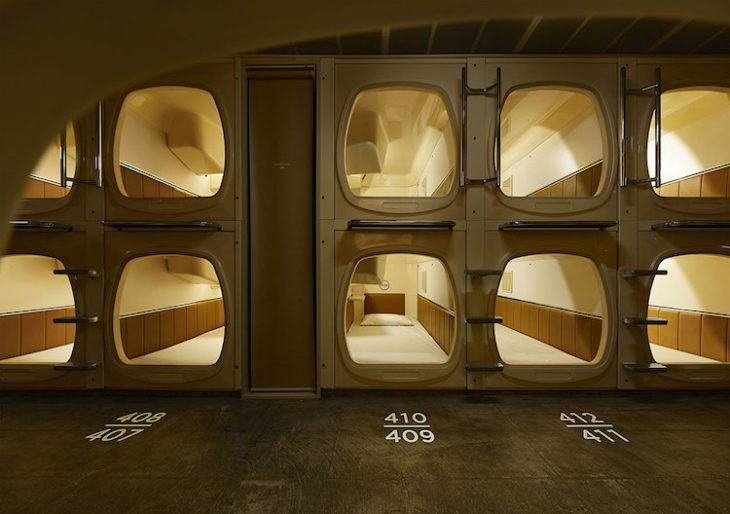 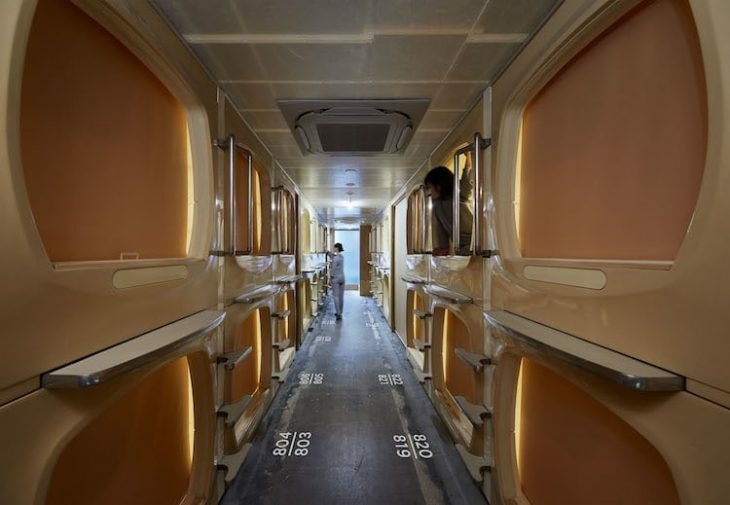 The architects transformed the aging capsule hotel into a modern, comfortable sleeping experience and brought it into the 21st century. 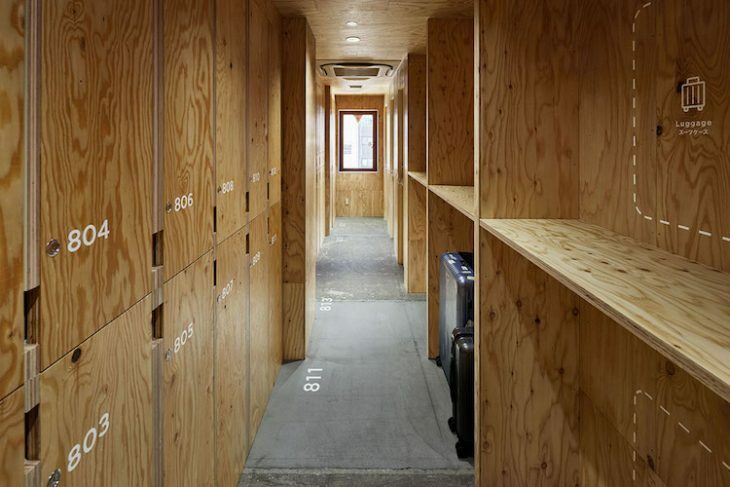 The Architects used subtle finishes all over the hotel, that bring out the warmth of the space. 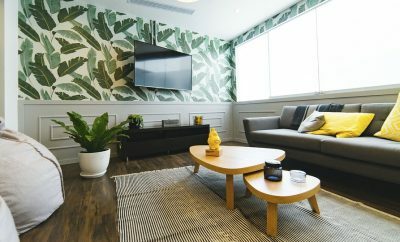 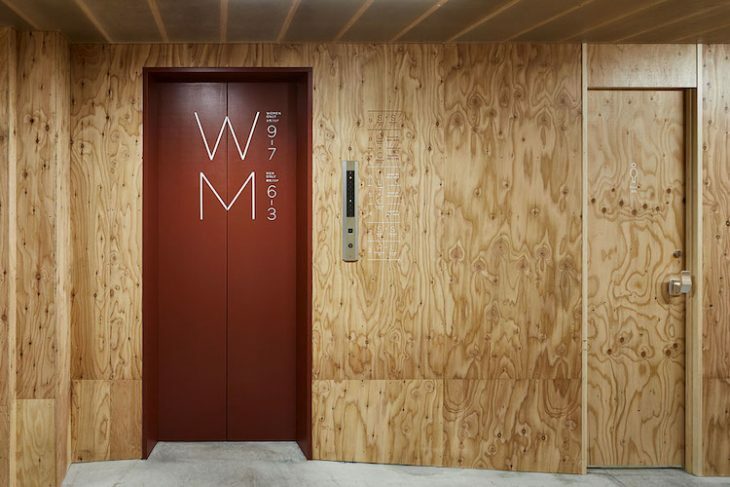 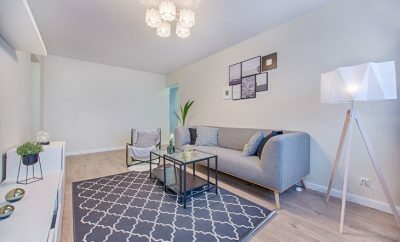 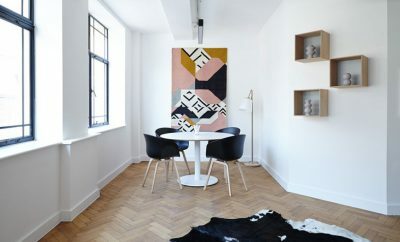 Plywood cabinetry and shelving, dark concrete floors, and clear FPR (fiber reinforced plastic) have been used in the hotel interior.The woodsy, yet industrial ambient provides visitors with a mix of minimalism and retro finishes.